For Book Week, the boys dressed up as Nightwing dragons from the book series “Wings of Fire” by Tui T Sutherland. 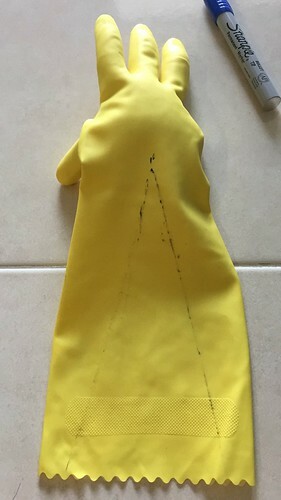 It was a last minute rush job – I started work on it two days before the dress-up day – so it didn’t turn out quite as well as I would have liked. 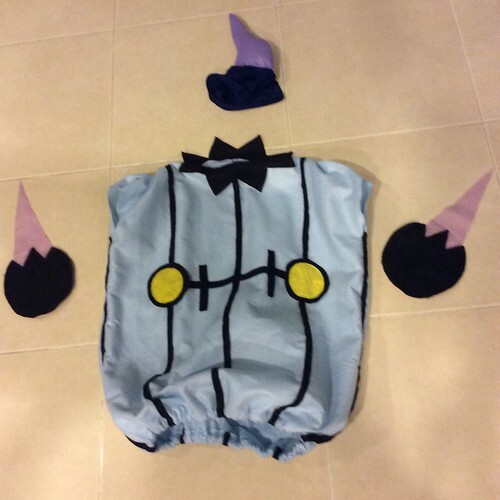 In hindsight, if I had more time, I would have used a different fabric and made the wings larger. 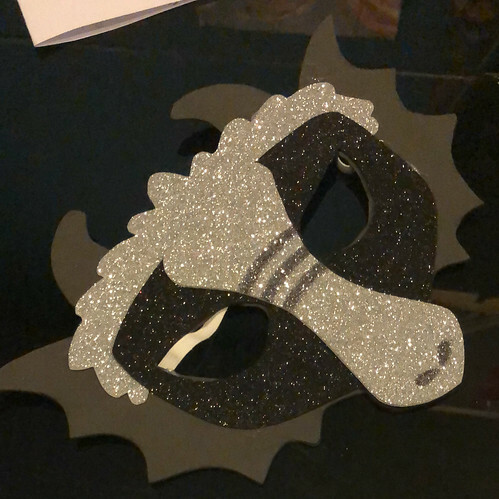 I would also have chosen a different dragon type – there wasn’t enough contrast for the mask because I was limited to black and silver. 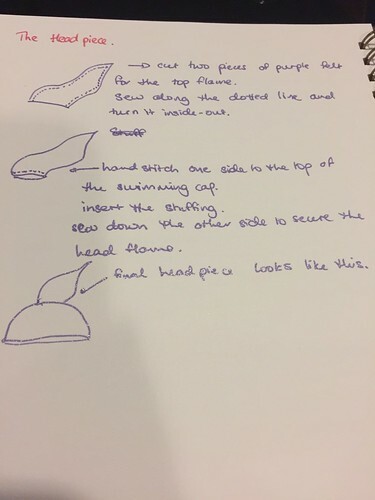 I couldn’t find a picture of the front, so I had to make that part up myself. 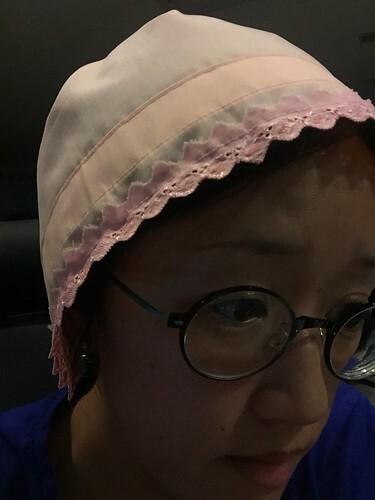 I added an elastic strap with a hot glue gun. 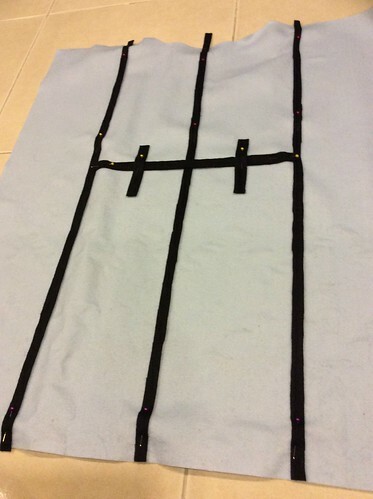 EVA foam tears easily, so staples don’t work so well. 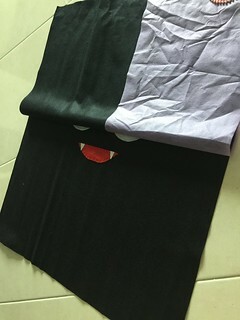 I made these with black felt sheets (4 pieces of 50 cm x 70 cm sheets) I bought from Daiso. 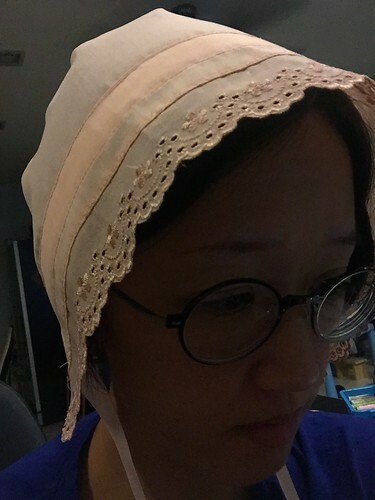 A softer fabric would have looked nicer, but felt is forgiving and easy to work with. 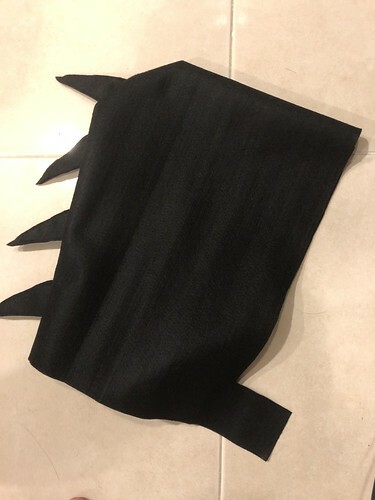 Using a new piece of felt, I cut out a hood, using a hoodie as a template – the tabs at the base were supposed to be for attaching velcro or buttons so it could be worn like a cape. 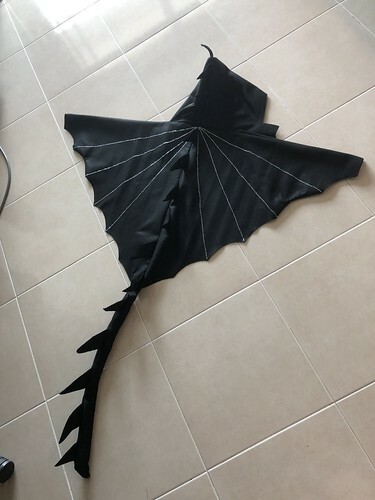 I didn’t need it in the end because I decided to turn the wings into a sort of jacket. 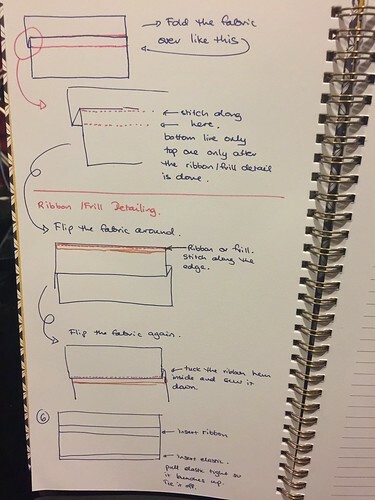 Yes, that’s what happens when you work on the fly with the roughest plan in mind. 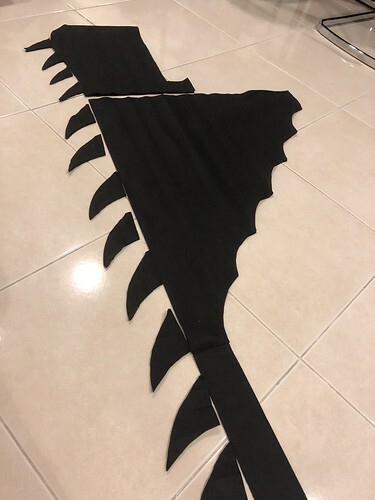 From the scraps of black felt, I cut 15 spikes to attach to the dragon’s back. 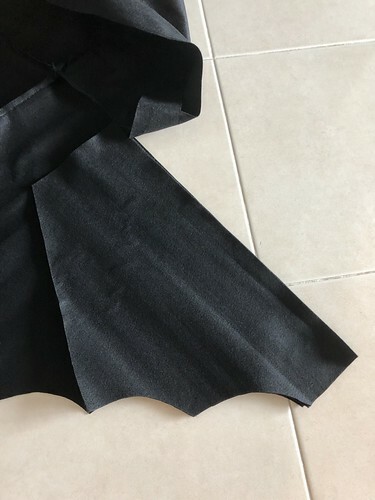 I drew them free-hand and made them curved so they would look more like our Nightwing image at the top of this post. 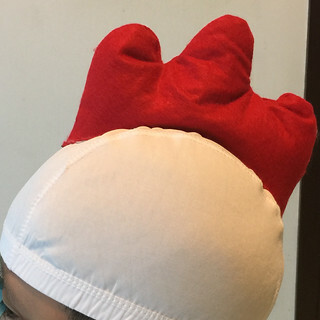 These were double felt which I sewed together so it wouldn’t flop around too much. 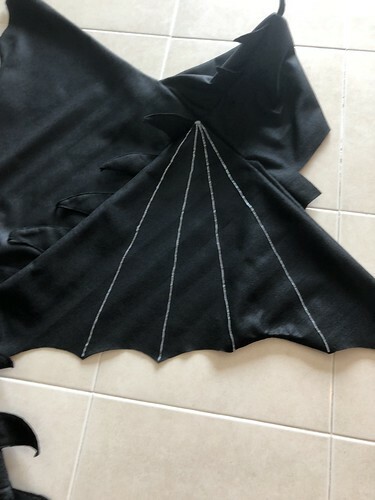 I marked the rough placements for the spikes with a pencil so I’d know where to put them before I sewed the hood and the wings together. 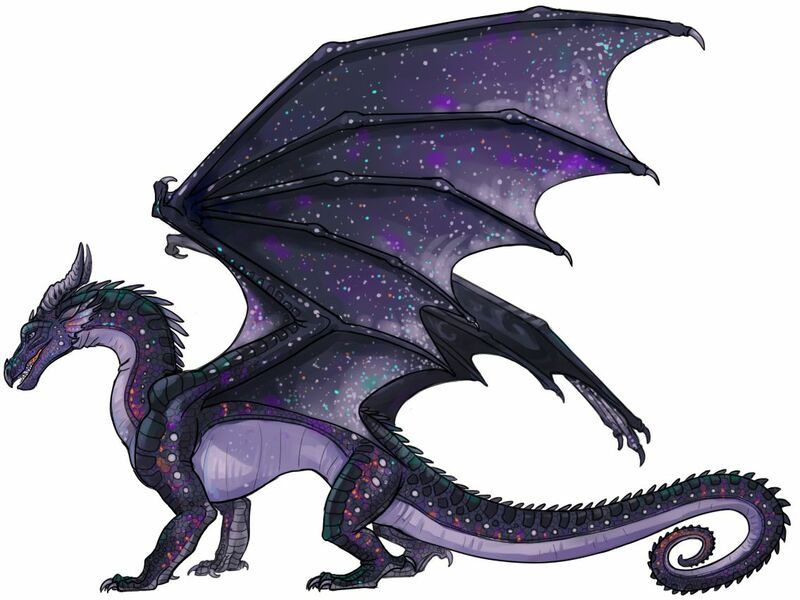 Next, I did the same thing for the wings. 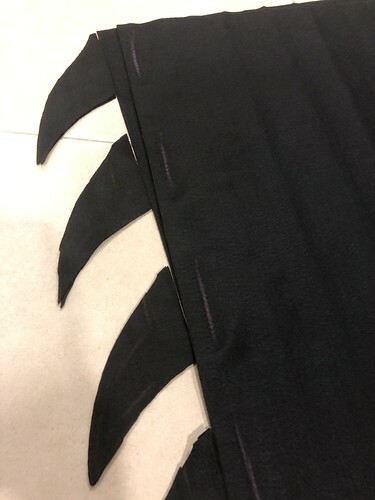 I marked where each spike was to be attached, then sewed the two wings together with the spikes in place. 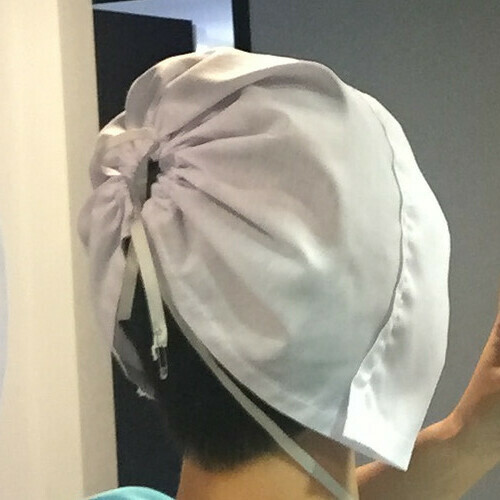 Stitch side D of the hood to the back wing and leave side C free. 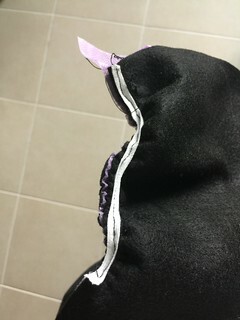 Then sew side C of the hood to side B of the front sleeve. 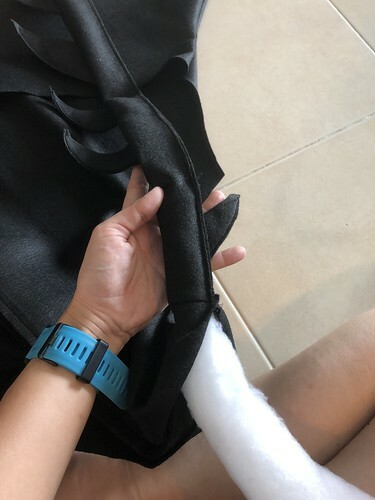 When the glue has dried, you can flip it around and apply silver spots to the wing sleeves to make up the silver scales that Nightwings have under their wings. I could have gone further and made claws but I thought it was excessive for a one day affair. 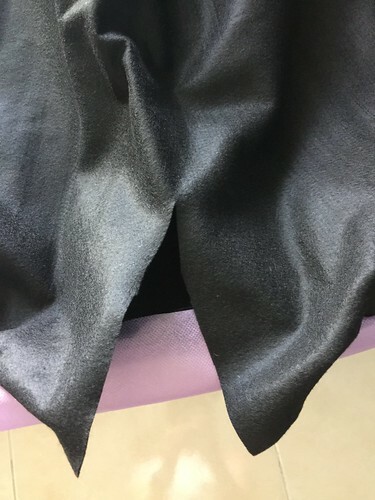 If you are looking for claws, a really easy job would be to use black gloves and stick on black stiletto nail tips. 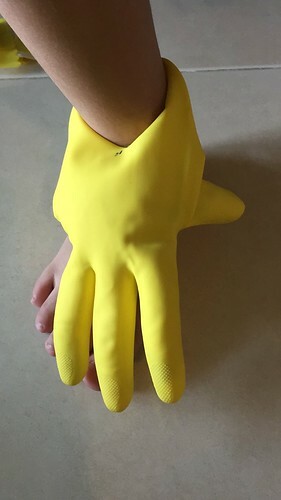 You can do the same for the feet using black five-finger socks. 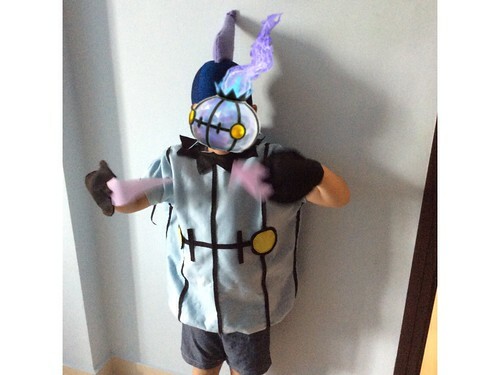 And here we are with the Chandelure costume – number 3 of 3… Now everyone has a costume for Halloween, and just in time, too! 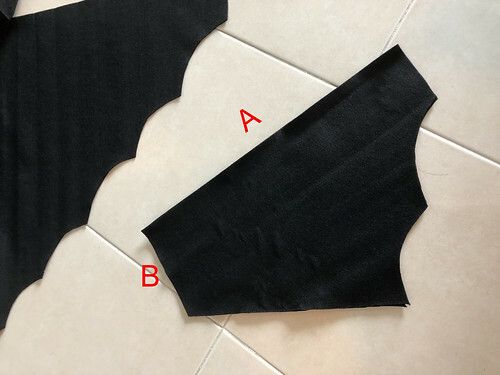 Cut out 9 strips of black felt 1 cm x 70 cm. 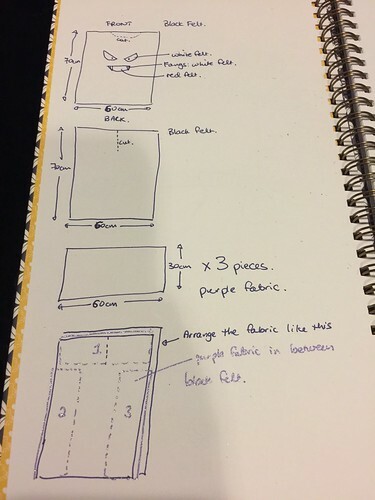 Lay them out onto the front piece of blue felt as shown below. 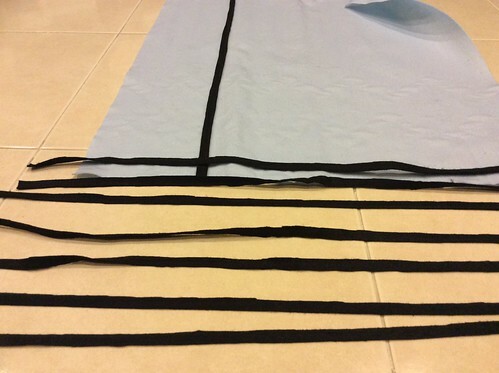 You will have to cut one strip to make the horizontal line and the short vertical lines. 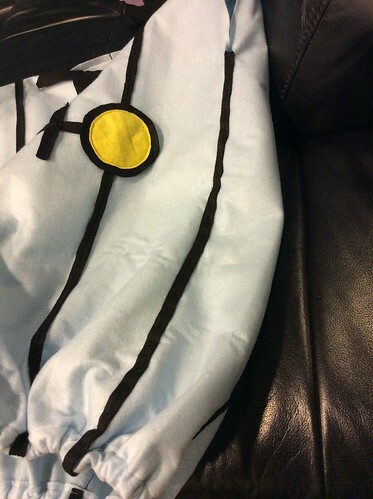 Pin them into place and stitch them to the blue felt by hand or by sewing machine. 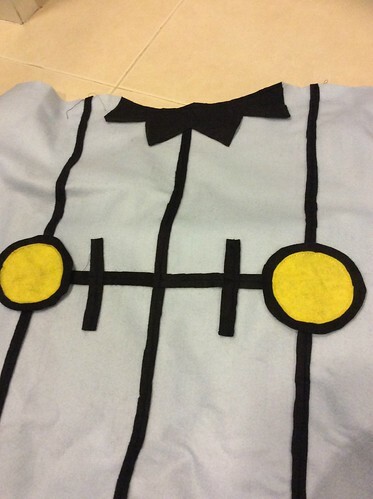 Stitch the yellow circles in place – either by hand or by using a sewing machine. 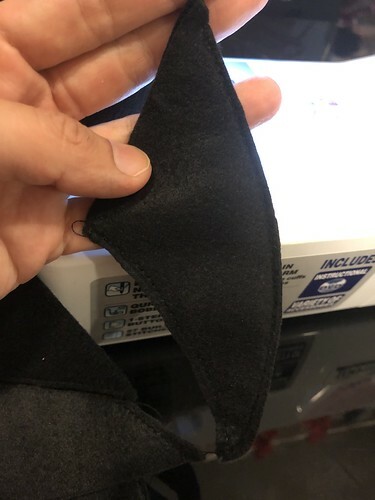 Using another three strips of black felt, stitch them down in three black vertical lines on the back piece of blue felt. 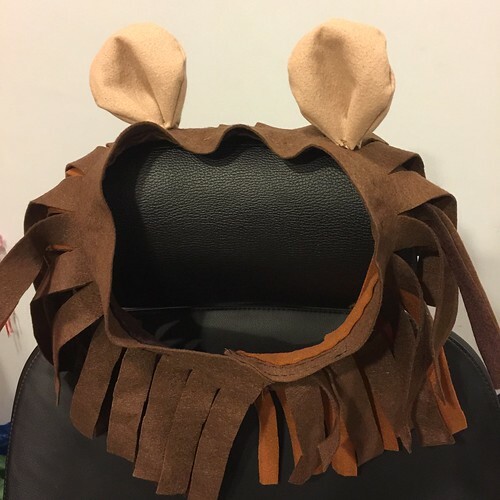 You will need to cut out two black felt collars that look like Kermit the Frog’s neck piece. 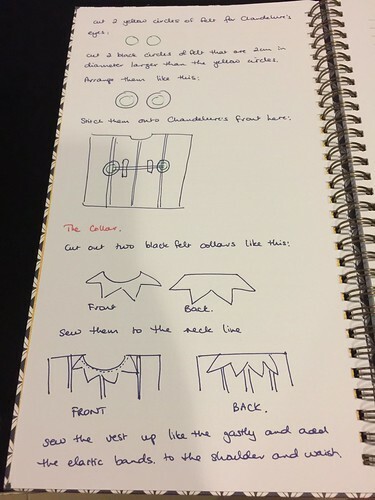 Stitch them to the neckline of the Chandelure collar as shown below. There should be a matching collar for the back. 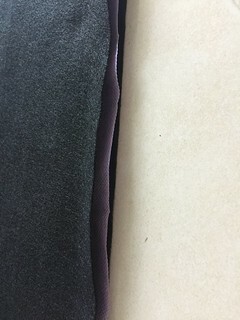 Sew the shoulder and side seams of the vest, leaving a 20 cm gap for the arm holes and the neck hole. 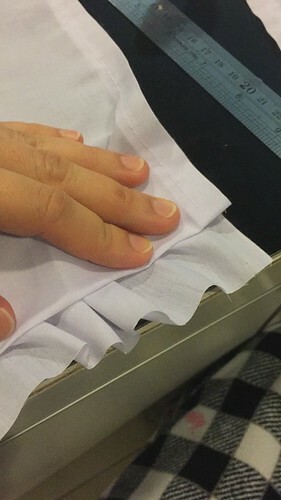 Fold up a 1.5 cm hem and stitch it down. 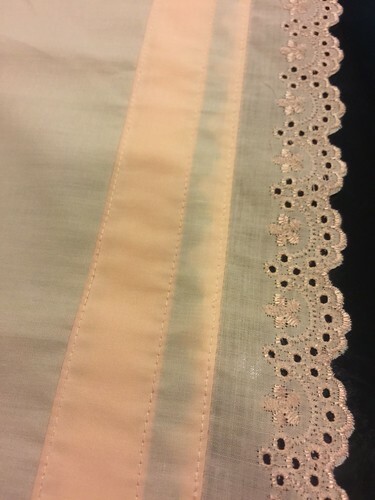 The hem should be wide enough for you to thread the elastic band through it. 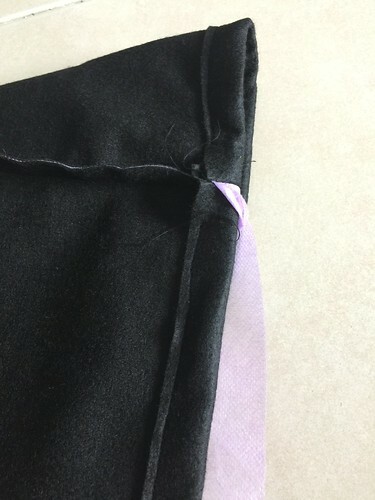 Sew a piece of stretched elastic to the shoulder seams to make it bunch up. 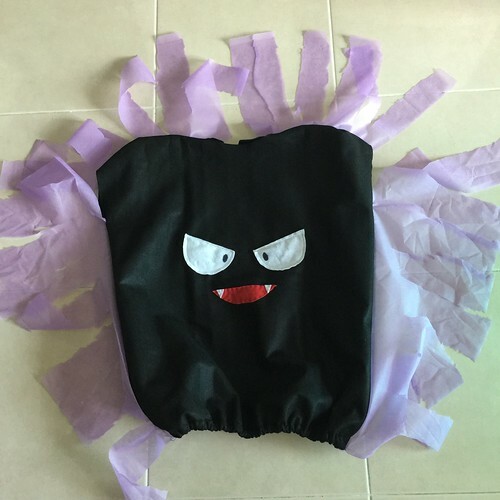 You can see how we did it on the Gastly Costume instructions. 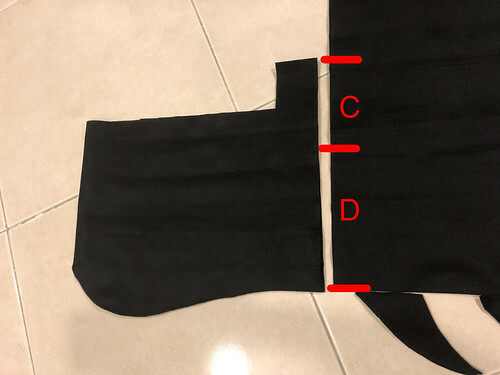 Turn the vest inside-out and stitch the last two strips of black felt along the side seams of the vest. 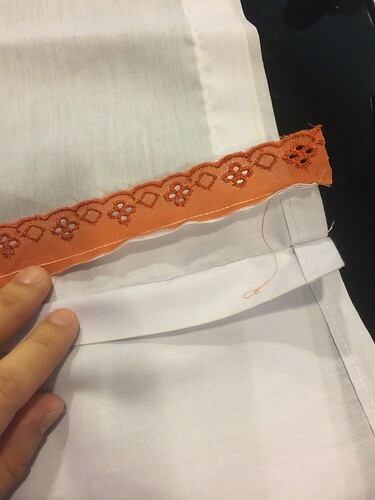 You will have to hand stitch these. 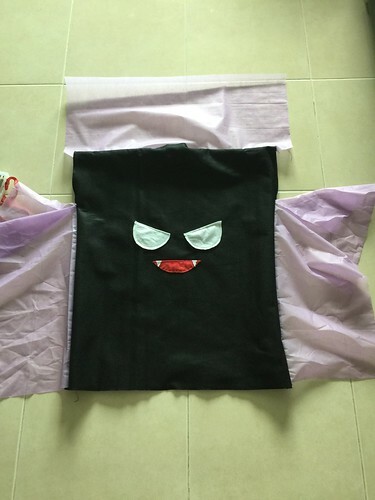 You will also need to cut a vertical line partway down the center of the back of the vest so your child’s head can fit into the vest (we also did this on the Gastly Costume). 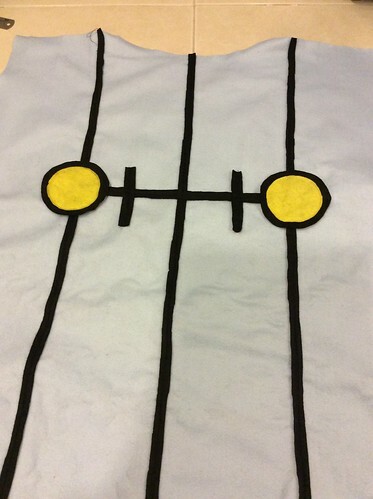 You will need to cut out four black felt circles that are large enough to encircle your child’s hand. 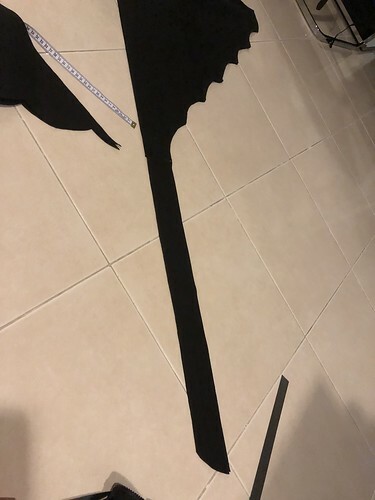 Cut out a W-shaped wedge (see image above). 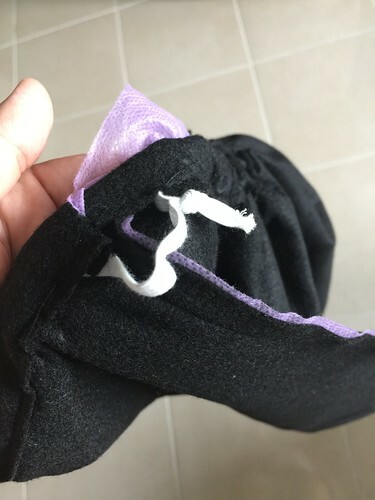 Cut a triangular-shaped piece of purple fabric for the candle flames and stitch it to the W-shaped section of the glove (as shown in the image above). Stitch the two pieces of the gloves together along the circumference and the W-edge. Leave a gap on the opposite side to the W-edge that is large enough for your child’s hand to fit through. 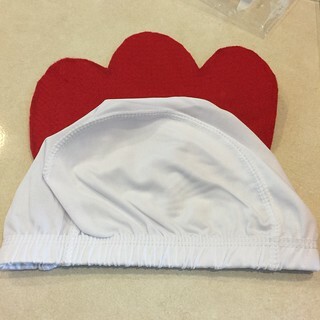 Repeat this process for the second glove. 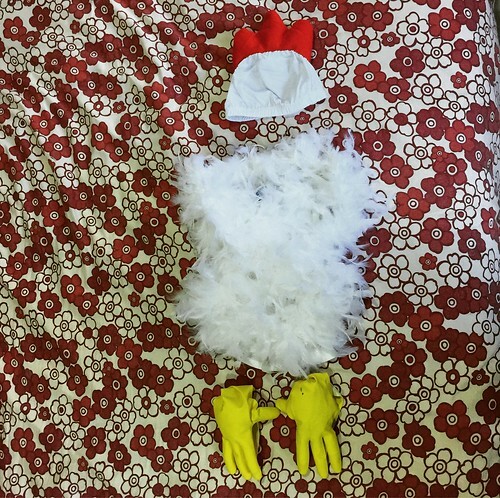 Halloween costume – number 2 of 3: the chick costume. 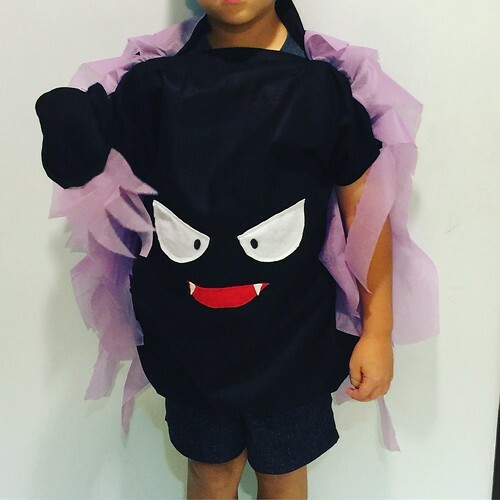 Costume number 1 was the Gastly. 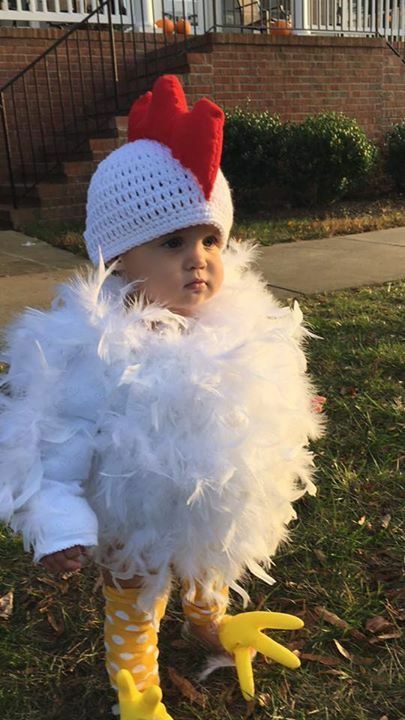 My SIL saw this on Pinterest and couldn’t resist the idea of dressing up her daughter in the same outfit for Halloween. Cut the chick’s comb out of red felt. 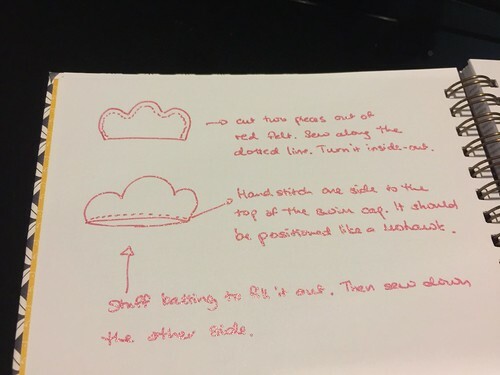 I did a free-hand version. You’ll need two pieces. 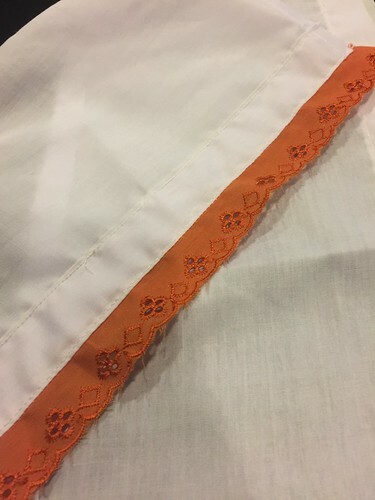 Sew them together along the curved parts (shown below) and turn it inside out. 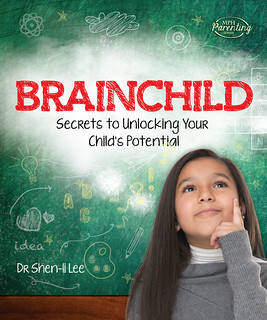 Stitch the comb lower down on the forehead because the a real chicken’s comb is attached almost from the beak. 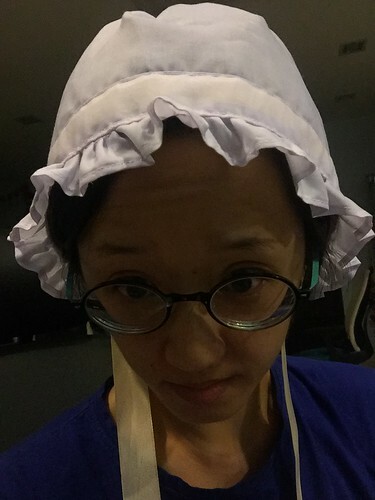 Made it pointy instead of curved; again because a real chicken’s comb is sharp, not curved. 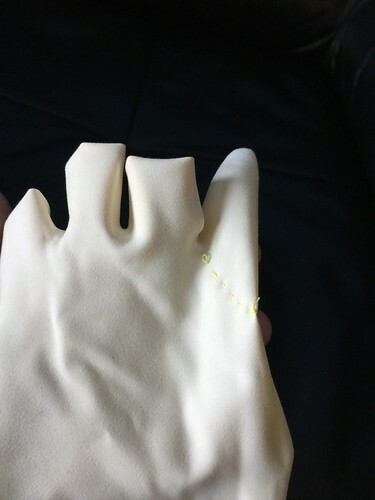 Turn the gloves inside-out and sew down the last finger as shown below. Turn it back the right way around. Take a chenille stem and fold it in half. Twist the two halves together. 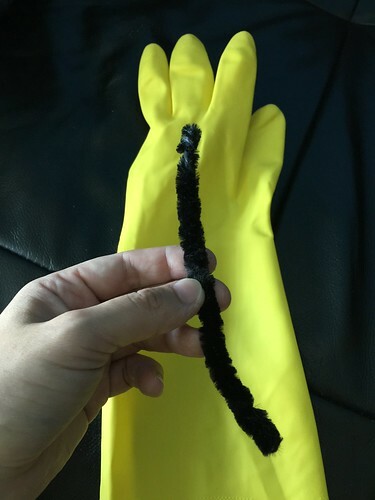 Bend the twisted chenille stem and insert it into the thumb and first finger of the glove. Stuff quilt batting into each of the four glove fingers and a little more to form the foot. 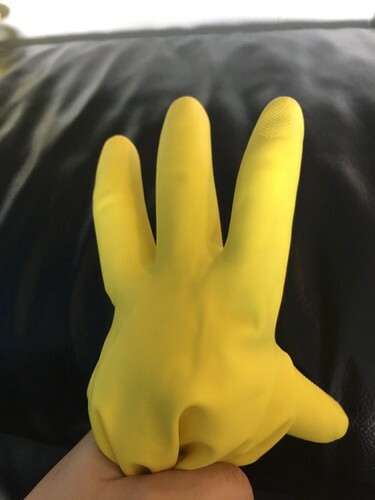 Bend the glove thumb backwards to form the chick’s back claw. 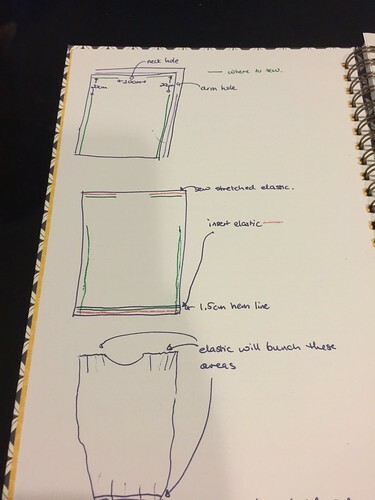 Draw a triangular wedge as shown below and cut it out. 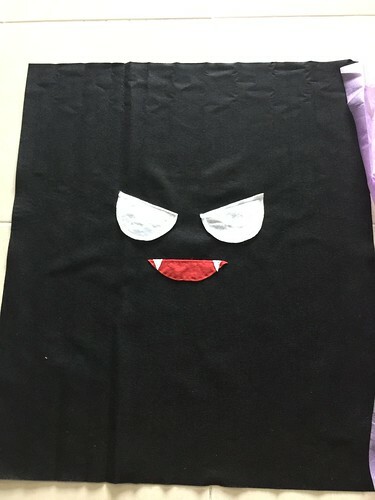 Sew the eyes, mouth and fangs onto the front piece of black felt. 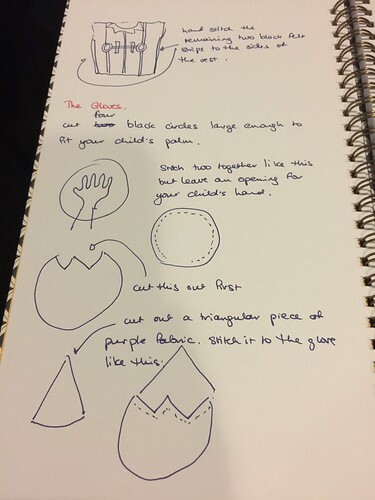 Mark the pupils with a black marker pen. 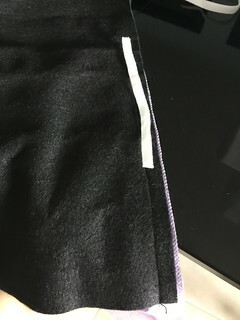 Cut a semi-circular neck line at the top of the fabric. 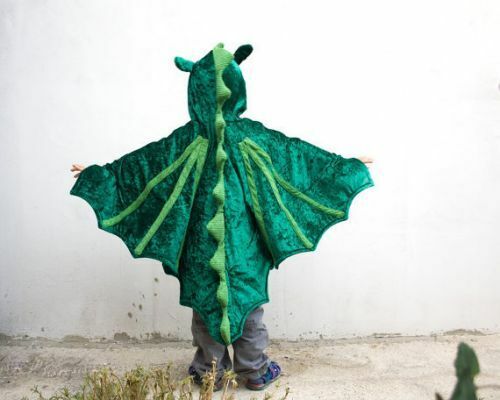 Turn the costume back inside-out and sew a 1.5cm hem line. 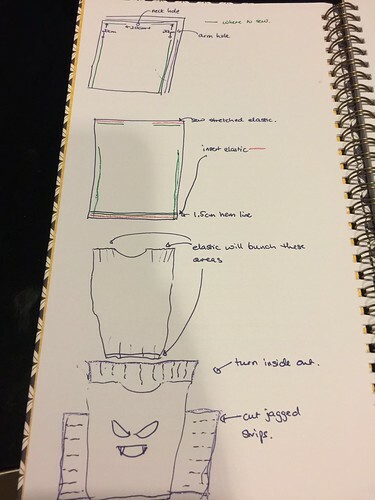 Leave an opening to insert the elastic band. 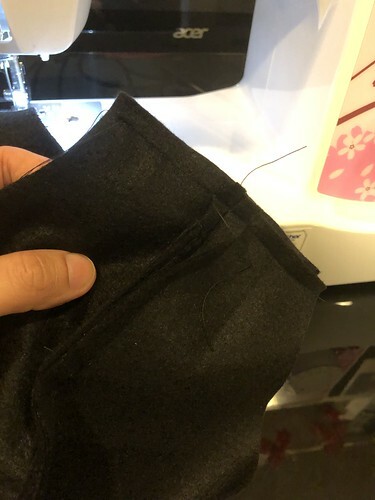 Thread the elastic band through the hem and secure it with a knot. 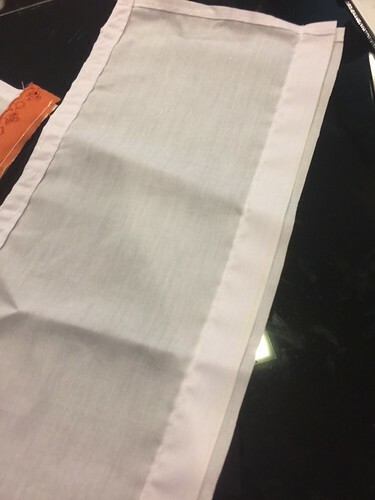 This will bunch up the felt fabric around the hips. 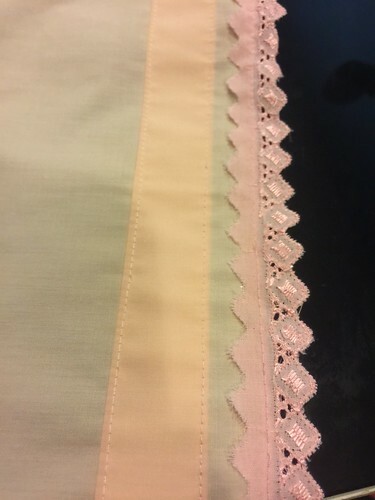 At the shoulder, sew a strip of elastic (pulled taut) along the shoulder seam. That’s one down and two more to go. 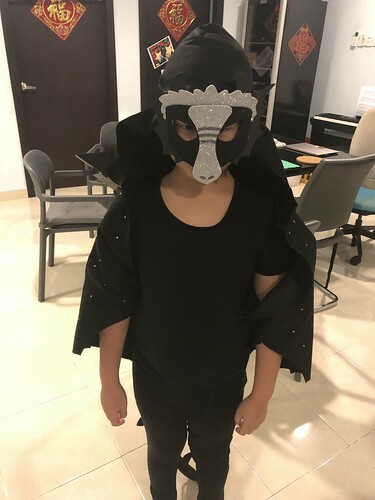 It’s G2’s turn to learn about biomes at school and what did he choose to dress up as? A Grassland animal! He couldn’t make my life easy by choosing a scorpion from the savanna so we could recycle G1’s old scorpion costume? So I decided that a lion costume is probably about the easiest one I can get away with. 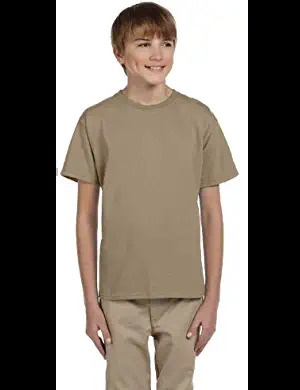 The base is just a brown t-shirt and shorts/pants. Khaki would be ideal but any shade of brown will suffice. I didn’t have time to go look for khaki clothes, so we used a brown t-shirt and black shorts. 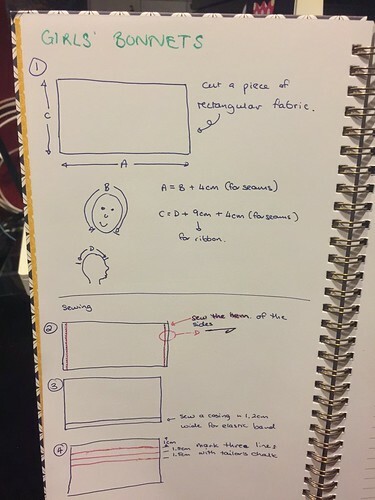 3 strips of brown felt (preferably different shades) long enough to wrap around your child’s head when worn like a scarf. 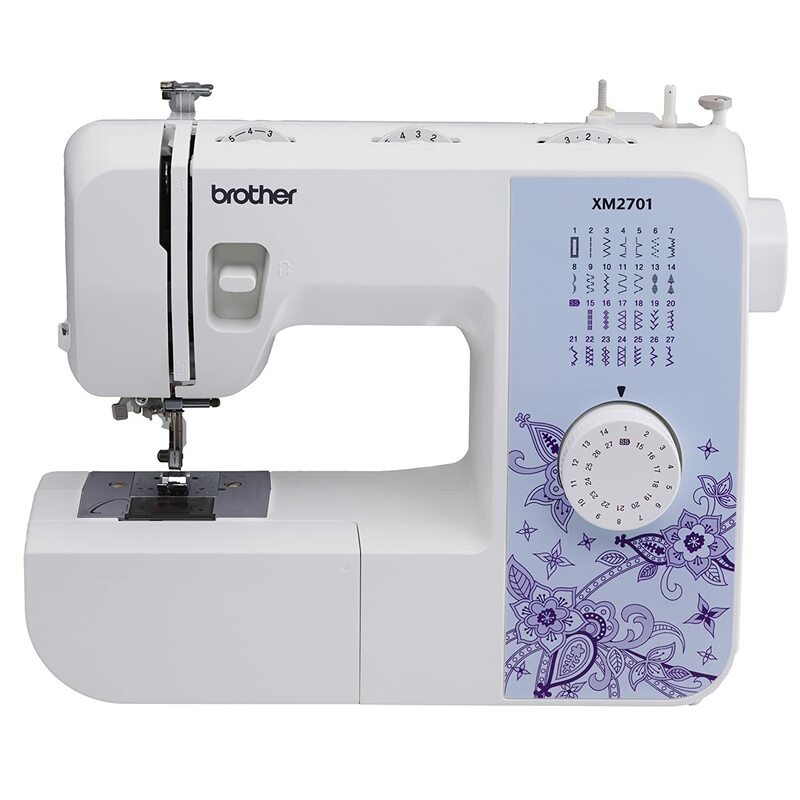 sewing machine or needle and thread (if you prefer to hand sew). 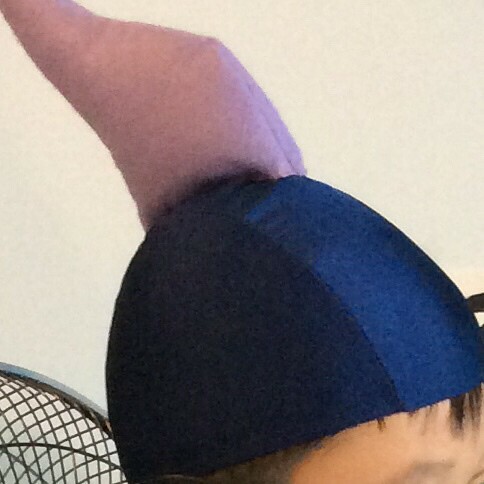 Add velcro tabs so the mane can be fastened around your child’s face. 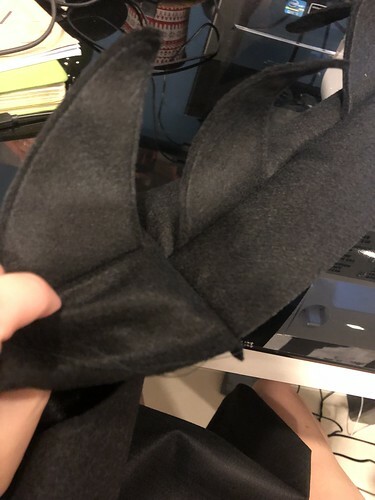 Cut four circles of khaki felt for the lion ears and stitch two pieces together as shown below, leaving a small gap so you can turn it inside-out. 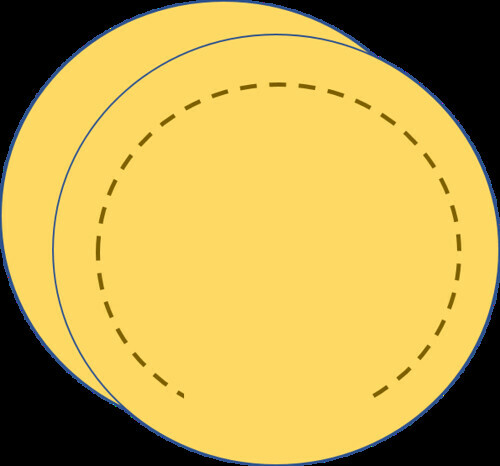 Repeat with the other two circles. 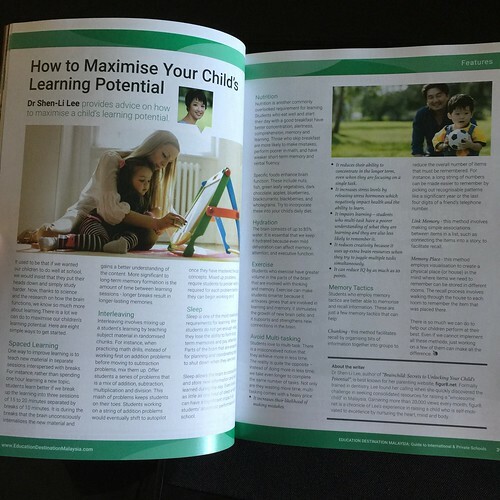 Measure out a length of elastic tape to fit around your child’s waist with a bit of stretch. Knot it into a loop. 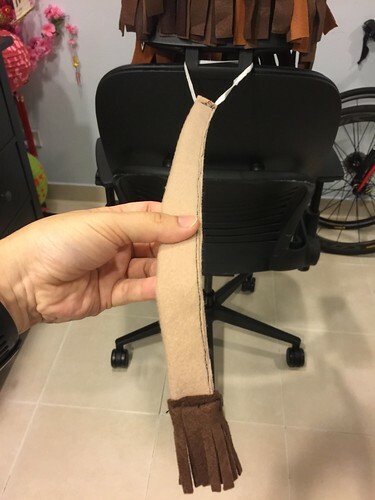 Cut a length of khaki coloured felt and stitch it along the length as shown below. 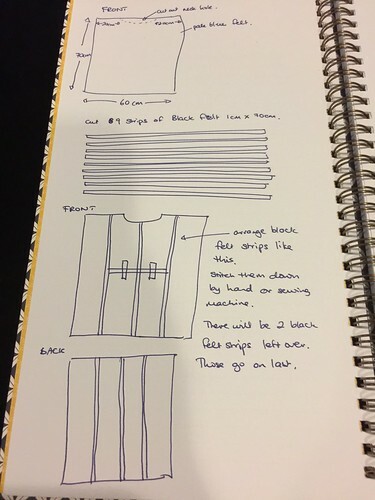 Attach the khaki coloured felt to the elastic tape at one end. 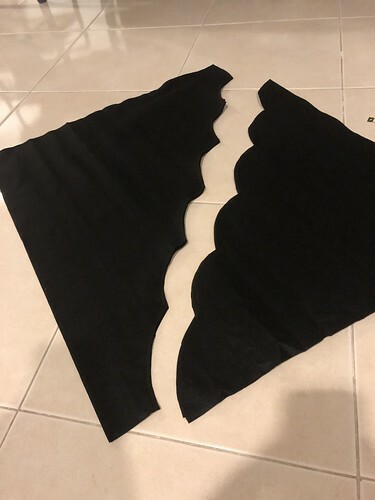 Take a short strip of the brown felt and cut tassels. Wrap it around the other end of the khaki coloured felt and sew it down. 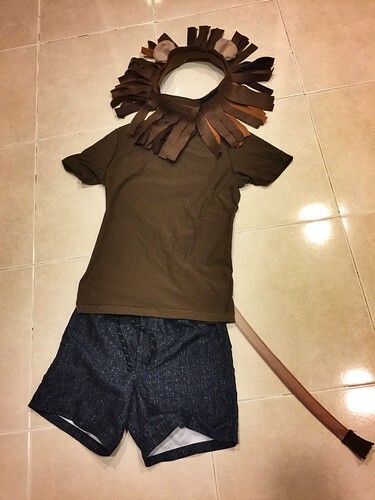 Put everything together and you’ll have the easiest lion costume ever.